Users can now also store boarding passes and tickets via the new Passes tab. 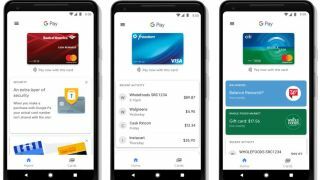 Earlier this year Google brought its two payment services together under one platform and now the company is rolling out a number of new updates to Google Pay. Peer-to-peer payments is just one of the additions to the search giant's mobile payment platform and while it was possible to send or request money through Google Pay Send, now users can do so right from within the Google Pay app. This opens up a host of new possibilities and Director of Product Management at Google Pay, Gerardo Capiel pointed out that friends can even split bills from within the app. Once a user makes a purchase through Google Pay, they can request payment from up to five people which theoretically should make things much easier when dining out with friends. In addition to P2P payments, Google Pay can now also save mobile tickets and boarding passes in a new Passes tab which will also store loyalty cards and gift cards. Initially Ticketmaster and Southwest will be available but Google plans to add Vueling, Singapore Airlines and Eventbrite. Unfortunately for iOS users, the new Passes tab will be an Android exclusive feature but Google is working to eventually support users on any platform. Users will also be able to access Google Pay via the web or from the platform's iOS app. Going forward Google plans to launch the Google Pay app in more countries and add support for more ticketing partners.